Along the east coast of Australia it’s that time of the year again. Not only is there a daily abundance of whales cruising our shorelines but we’ve all gone a little mad in anticipation of this guy – MIGALOO. 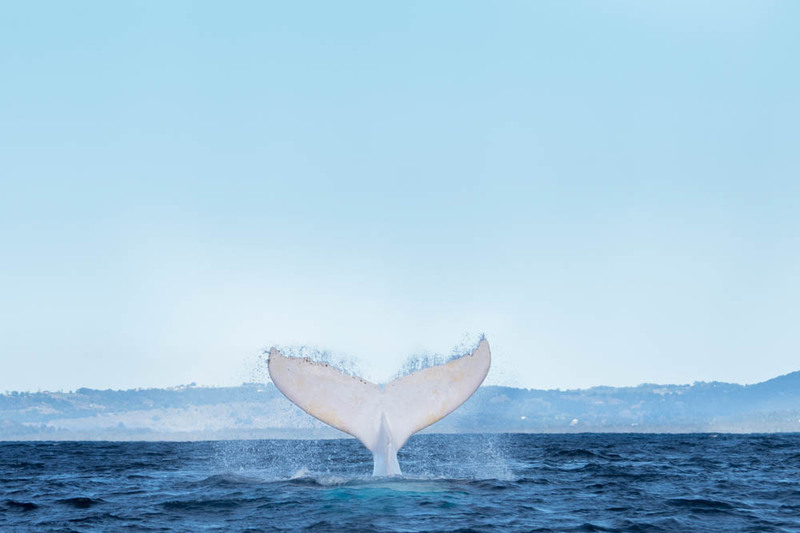 Arguably the most well known humpback whale in the world, each year we hope to catch a glimpse of him as he passes Byron Bay on his annual migration from Antarctica to the warm waters of Tropical North Queensland. Following a few false sightings early on he was finally confirmed to be enjoying the waters off Byron Bay on 26th July at 11am. What makes this year’s visit particularly special is that he passed through Byron on exactly the same day and at the exact same time as the last time we caught up with him in 2016. 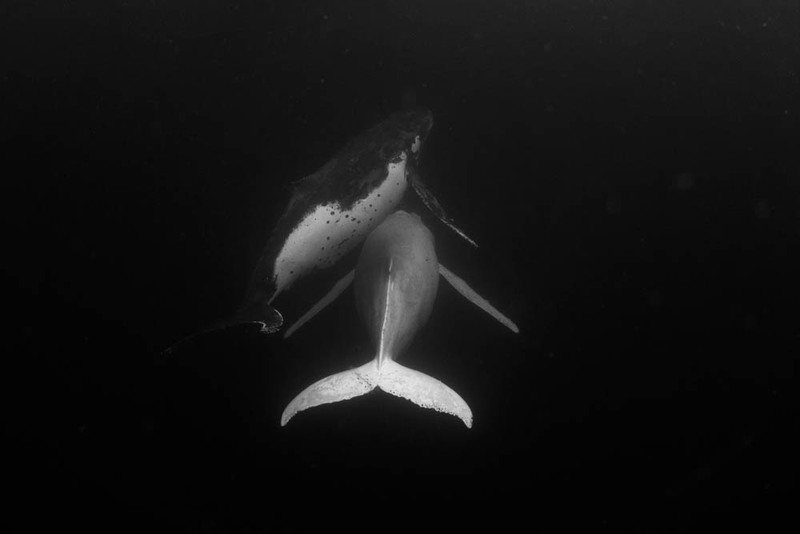 And he was once again accompanied by the exact same whale (pictured below) who has been affectionately named MILO. I was fortunate enough to spend a little time with both Migaloo and Milo once more – this time from the air – and was able to capture these aerial images of our mates four nautical miles off Hastings Point. On 28th June, 1991, an all-white humpback whale was photographed passing Byron Bay, Australia’s most easterly point. 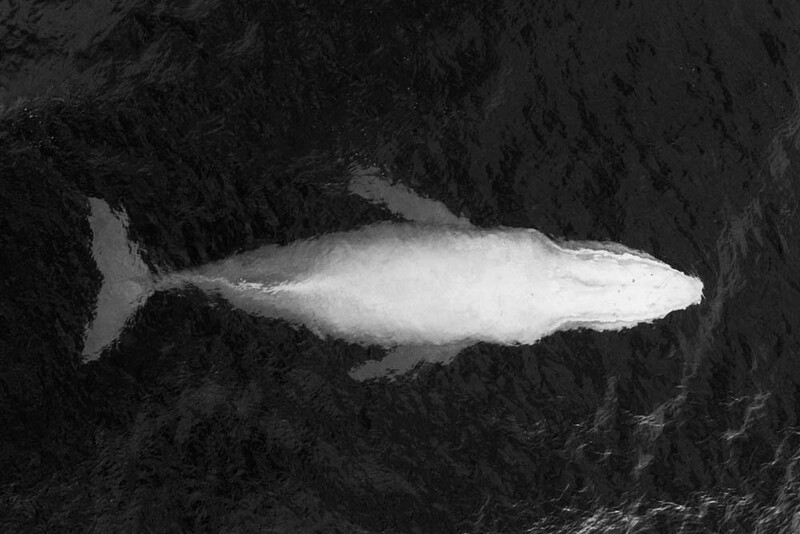 This unusual whale was at that time, the only documented record of an all-white humpback whale in the world. It was named “Migaloo” This is the name the Australian Aboriginal community in Queeensland use to describe a White Fella. Migaloo is an adult male who we believe was born in 1986. 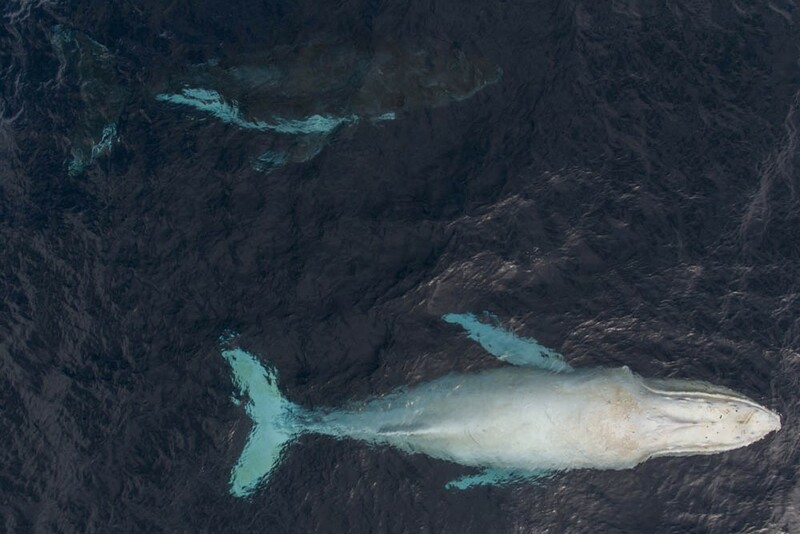 Migaloo is suspected to be an albino whale, but without definitive evidence for the moment he is known as a “hypo-pigmented” humpback. 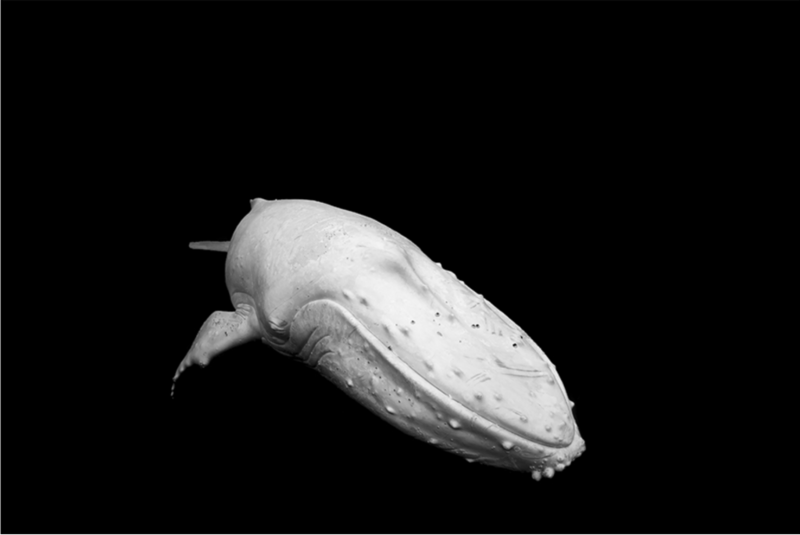 Besides Migaloo, there are only 3-4 other known white whales, making them exceedingly rare. Next week I head off on a couple of adventures – firstly to Lady Elliott Island and then I leave for my own annual migration to immerse myself in the tropical waters of Tonga where I’ll be photographing the humpback whales. Be sure to stay tuned – it’s a journey which never fails to deliver. 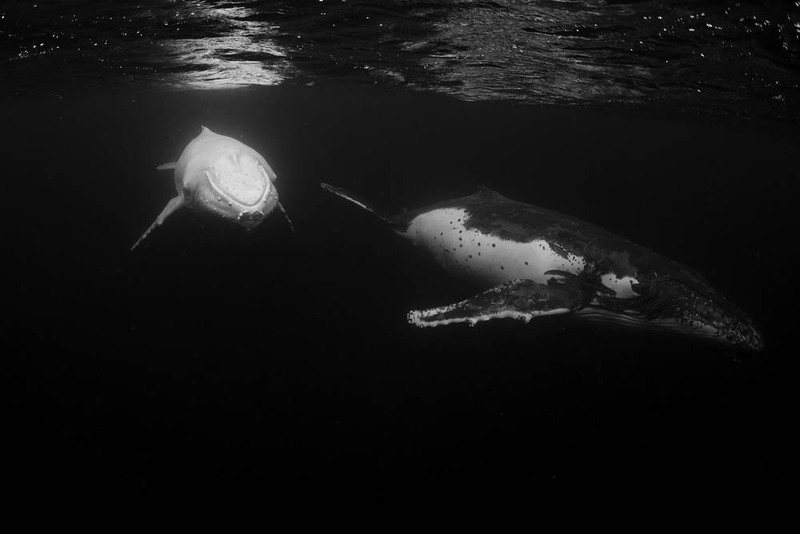 If you’re keen to join me next year in Tonga or on any of my other photography workshops and adventure experiences (Great Barrier Reef, Africa or Byron Bay) you can find out more HERE.